Do you need to translate any document? 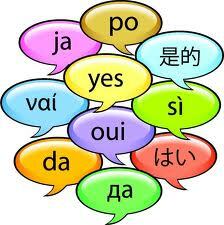 In De Boca en Boca we have graduate translators (German, Arabic, Chinese, French, English and Italian). Send us your documents or essays and we’ll translate them for you to any language. Do you need help with the final essays in Spanish? Do you have to write an essay in Spanish and you don’t know how to start? Would you like a native teacher’s help? In De Boca en Boca we can help you with your final essays. Send us your documents and we’ll proofread them. CONSULT US FOR PRICES WITHOUT ANY COMMITMENT! Este obra cuyo autor es debocaenbocacentre.com está bajo una licencia de Reconocimiento 4.0 Internacional de Creative Commons.